1. 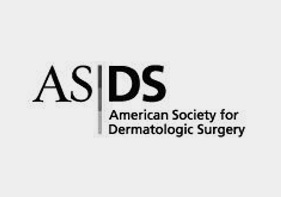 Which Surgical Specialists Perform Liposuction? Liposuction is most commonly performed by surgeons who have acquired special training in the techniques of liposuction. Surgeons who perform liposuction or other cosmetic surgeries are called "cosmetic surgeons." Most cosmetic surgeons have had previous residency training in one or more surgical specialties. For example, liposuction surgeons often have had specialized training in Dermatology, Plastic Surgery, Facial Plastic Surgery, Otolaryngology (Ear, Nose, & Throat), General Surgery, Ophthalmology, or Gynecologic Surgery. Training in these surgical specialties increases that likelihood that the surgeon will have had training in basic safe surgical methods that minimize the risks of infection and other common surgical complications. 2. What kind of qualifications should a liposuction surgeon have? All liposuction surgeons should have 1) in-depth training in surgical techniques that minimize the risk of infection, 2) training in advanced cardiac life support into order to be able to diagnose and treat cardio-vascular complications, 3) training and knowledge of the pharmacology associated with tumescent local anesthesia, and 4) extensive in-classroom instruction and hands-on liposuction training in the operating-room. Prospective liposuction patients should ask their surgeon how many liposuction patients he or she has treated. 3. Do Some Cosmetic Surgeons Specialize In Doing Liposuction? Yes. Surgeons who regard liposuction as a primary area of expertise can be considered specialists in liposuction. Not all cosmetic surgeons are experts in liposuction. An expert in doing facelifts may not be an expert in doing liposuction. Choosing a surgeon with extensive training and qualifications in other aspects of cosmetic surgery does not guarantee maximum safety for liposuction. For example, the Chairman of a Department of Plastic Surgery at a medical school may not be as experienced and skilled as a surgeon in private practice that does one liposuction surgery every day of the week. 4. Have All Liposuction Surgeons Had Standardized Training in Liposuction? 5. Do All Liposuction Surgeons Use the Same Technique? Liposuction surgeons do not all use the same technique. Some techniques are safer than other techniques. A recent survey among surgeons who traditionally do liposuction under local anesthesia found there were no deaths among 65,000 liposuction cases. In contrast, another survey among of surgeons who traditionally use general anesthesia for liposuction found 95 deaths in 475,000 liposuction cases, which is equivalent to 13 deaths per 65,000 surgeries. 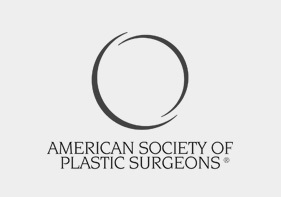 More recently, the safety of doing liposuction under general anesthesia has improved significantly as surgeons have learned to do less liposuction on a single day. 6. What is the difference between a plastic surgeon and a cosmetic surgeon? Any surgeon who does cosmetic surgery (intended to improve the patient's appearance) is considered a cosmetic surgeon. Many different surgical specialties do cosmetic surgery. For example plastic surgery is one of several specialties that do cosmetic surgery. The majority of plastic surgery training involves reconstructive surgery, for example, breast reconstruction after mastectomy or the treatment of severe burn injuries. A relatively small proportion of plastic surgery training involves learning cosmetic surgery. 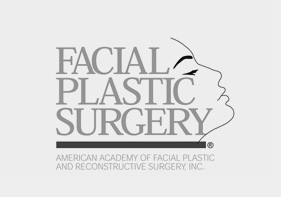 Most cosmetic surgeons, including plastic surgeons, learn much of their advanced cosmetic surgery techniques by taking special courses after graduating from their residency program. 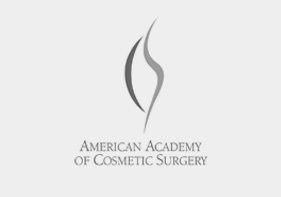 Both dermatologic surgeons and plastic surgeons are taught liposuction surgery during their residency training. 7. Are liposuction surgeons trained to take care of cardiac emergencies? Surgical complications in liposuction are quite rare. The greatest risk with liposuction is cardiac or respiratory complications due to a cardiovascular disease, drug reactions, or human error associated with general anesthesia. From the perspective of safety, all liposuction surgeons and the surgeon's operating-room assistants should be well trained and experienced in Advanced Cardiac Life Support (ACLS). Patients should ask if the surgeon has current ACLS certification and the proper equipment to diagnose and treat cardiac emergencies. 8. Is the surgeon's specialty an important factor in safety of liposuction? There is no evidence that one surgical specialty is safer or better qualified to do liposuction than any other specialty. The difference in safety is almost entirely attributable to the type of anesthesia used for liposuction. Patients who have liposuction by surgeons who do liposuction under general anesthesia or IV sedation are more like to have serious complications than when liposuction is done totally by local anesthesia. 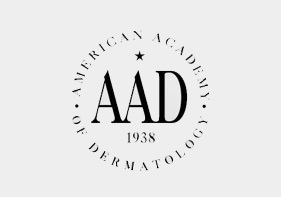 There have been no deaths among patients of dermatologists, plastic surgeons, or any other specialists who do tumescent liposuction totally by local anesthesia. 9. Where Can I Get More Information About Choosing A Liposuction Surgeon? See the section in this web site titled Choosing a Surgeon.